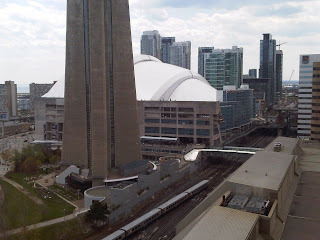 Here is the view from my hotel room at the spectacular Intercontinental Toronto Centre hotel. The lobby was beautiful and the check-in desk people were absolutely charming. I am excited to explore this hotel more!